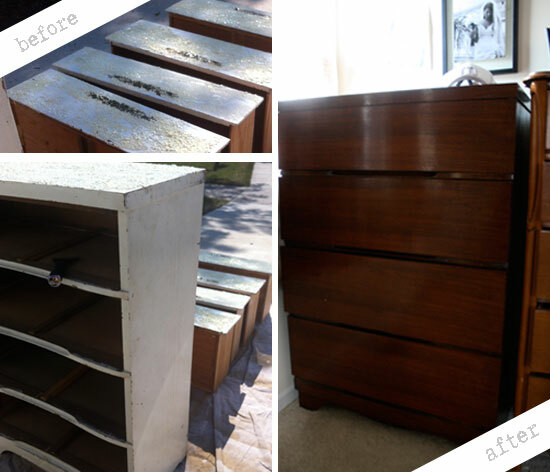 This summer I decided that I was going to do something about my husband's ugly dresser. It's a beautiful piece, very well made (from his Grandma), but it had these old brown/green flowers on the front and the white paint was looking pretty bad (really, really, bad). 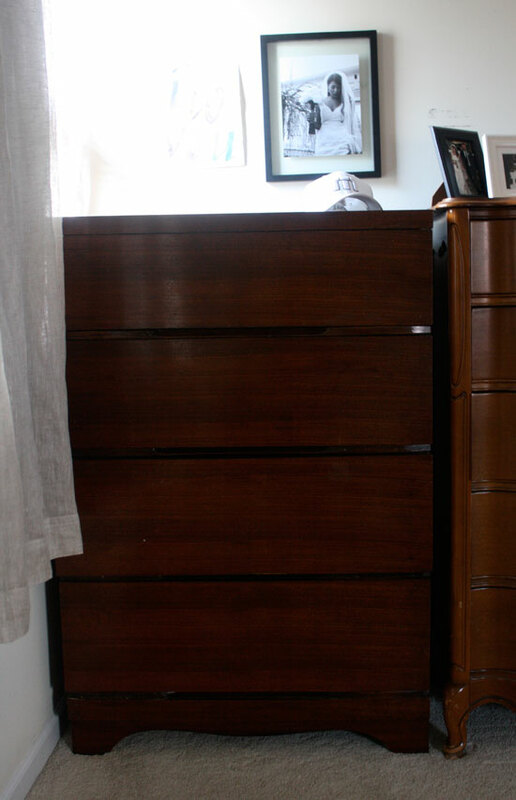 My initial thoughts were to copy this dresser and paint it black. During the process, I came to grips with that fact that Grant really isn't a black with gold accents kind of guy and the wood underneath looked really promising! So, I traded in my gold hardware knobs for some dark wood stain. In the end I'm glad I didn't paint it. I like the natural look. Here is the before/after! I'm so pleased with how it turned out! Definitely worth the time & effort! I forgot to take real "before" pictures, so these were after I had already poured the paint stripper on. Oh well! You can clearly see something had to change. It was so ugly! 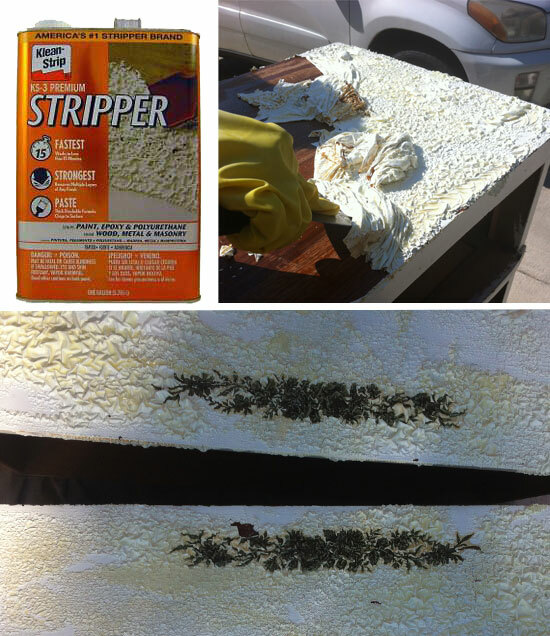 The paint stripper was extremely strong. It wasn't very hard to strip, except for the grooved pieces on the drawers. Shocking how it all peels off! Overall, this was a fairly easy project. Grant might have a different opinion as he did a lot of the grunt work sanding. :) It did take me 2 months to finish it (ha!) but that was only because I had it in the garage and continued to forget/put off sanding and staining it. In total the project was about $70, which is a lot less than a new dresser! Score.